This way of thinking about freedom has some problems. First, it assumes that we have relatively few limitations as human beings when, in fact, we all have limited choices and options in life. Not everyone has the capacity to be an astronaut or an Olympic swimmer or an opera singer or the Prime Minister. I could do none of those things well. I also cannot be a cat or a bird, much as I would like to be able to jump six times my height or fly by moving my arms. Viewing freedom as pure self-determination gives us an inflated sense of our own agency. It also sidesteps the fact that we do not function in isolation; our choices and actions have implications for others and this mutuality must be acknowledged. My freedom affects the freedom of others. Celebrating and demanding self-determination leads to trouble in the long run (read some history if you don't believe me). Instead of simply mirroring our individualistic Western context, we need to develop a view of freedom which aligns more closely with the teachings of Jesus. The freedom which Jesus modeled and taught goes way beyond simple human agency. Freedom has more to do with wholeness and relationship than doing what we want. Wholeness: A few years ago, I suffered from a frozen shoulder. If you can help it, never have this condition. It rendered me unable to move my elbow higher than the level of my shoulder for about six months. Terribly inconvenient and somewhat painful. How does one get a frozen shoulder? Well, let me tell you. Actually, I will let an expert explain it. In this case, freedom refers to a full range of motion, freedom to move as a shoulder is meant to move, unrestricted by injury or trauma. Freedom for a shoulder has nothing to do with self-determination. In fact, if the shoulder wanted to pick up and move to Paris, that would be amputation, not freedom. Freedom here is related to wholeness and healing, a healing so complete that there is no residual adverse effect on the shoulder. A free shoulder is a shoulder fully functional, properly moving in relation to the body. When considering the analogy of the church as the body of Christ, the implications are clear: each member is free to move and function according to their place/role in the body. We are free to move and respond to the leading of the Spirit of Jesus, the head of the body. We are free from the effects of trauma and wounding, not restricted by past hurt. Freedom is being made whole. Relationship: In John 8, Jesus speaks to some new Jewish believers about freedom. These words are often quoted (out of context) in regard to freedom, so let's look at them a little closer. "Jesus (to the new Jewish believers): If you hear My voice and abide in My word, you are truly My disciples; you will know the truth, and that truth will give you freedom. Jewish Believers: We are Abraham's children, and we have never been enslaved to anyone. How can You say to us, "You will be set free"? Jesus: I tell you the truth: everyone who commits sin surrenders his freedom to sin. He is a slave to sin's power. Even a household slave does not live in the home like a member of the family, but a son belongs there forever. So think of it this way: if the Son comes to make you free, you will really be free." (John 8:31-36, The Voice). The word that is translated as "free" is eleutheros in Greek. It basically means a free man or woman, not a slave, so the aspects of freedom highlighted in this passage come from contrasting the experience of a slave with that of a son. While this notion of being a free man or woman does include some aspect of personal agency (Jesus talks about not giving yourself to sin), the main focus here is relationship. The son has a permanent place in the household, receives an inheritance, and lives within a love-based relationship (ideally). The slave, on the other hand, has no permanent place in the household, works as payment to their master, and lives in an economic-based relationship. The son's status is secure, the slave's status is precarious. The son loves his father, the slave fears his master. One final point of interest: this word eleutheros is related to erchomai which means "to come into being, find a place, to appear, be established, become known." 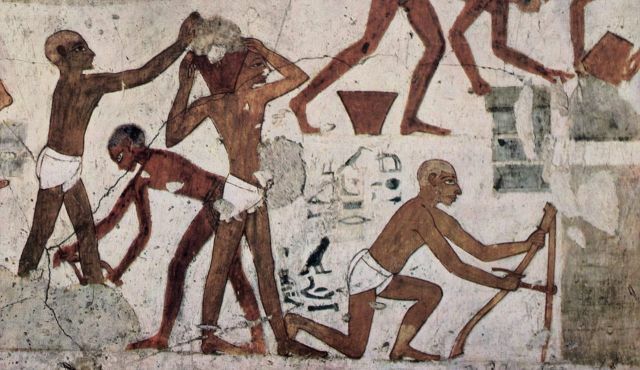 In general, slaves have no status in society, they are meant to be virtually invisible, so the idea of being established, of having a place, of being seen and known, relates to the experience of a son in contrast to the life of an indentured slave. What Jesus is inviting his hearers to recognize is that their freedom is directly connected to their relationship with a loving heavenly Father, not to any external context or situation. This is reiterated by Paul in a letter to the Corinthian church: "For the slave who hears the Lord's call is set free to belong to the Lord. In the same way, the so-called free person is called to become a slave of the Anointed One" (1 Cor. 7:22, The Voice). In the kingdom of God, slaves are free (sons and daughters of God) and free persons are slaves (surrendered to the purposes of God the father instead of the purposes of sin the slave-master). In John 8, the Jewish believers whom Jesus is addressing mention that they have never been enslaved to anyone. Considering that they were under Roman occupation at the time and one of the defining stories of Israel recounts their ancestors being led out of slavery in Egypt, this seems a bit of an oversight on the part of the speakers. Nevertheless, I thank them for bringing it up. The journey of the nation of Israel which took them from being slaves of Pharaoh to being the beloved people of God is an excellent study of what it means to be(come) free. After YHWH gives explicit instructions for the construction of the tabernacle of worship which is to reorient the people to belonging to YHWH instead of to cruel masters serving pagan gods, we find this statement: "I will live among the Israelites and be their God. And they will know that I am the Eternal their God, who led them out of Egypt so that I could live among them (Exodus 29:45-46, The Voice)." The point of freedom was to belong to God, to live with God, to be known as the people of God. It was a freedom situated in loving, covenantal (not economic) relationship. The journey to freedom took the Hebrew people forty years because freedom is more than an external state; it is an internal, relational orientation toward wholeness and belonging (community), and that doesn't happen overnight. In light of all these things, how do we go from being slaves to being free? We ask God to teach us that we are beloved sons and daughters, not slaves. We ask the Holy Spirit to reveal to us that we are loved, we belong, we are trusted, and we are valued in the community. We come to know that we are our true selves as we respond to the call of God. We practice walking in freedom from fear, addiction, compulsion, reaction, revenge, being controlled, controlling others, and past trauma and wounds. We practice being free to love, sacrifice, give, forgive, respond, practice self-control, and live in wholeness. We eschew self-determination in favour of aligning our will, our love, our life, our worship, and our work with the God of love, the Father who calls us beloved sons and daughters, the One who chooses to dwell with us and declares that we belong. We are free, free indeed, because the Son has welcomed us into the household of God. Joe Muscolino, "What are the Causes of Frozen Shoulder?" The Art and Science of Kinesiology, https://learnmuscles.com/dev_site/blog/2017/03/07/causes-frozen-shoulder/. Eugene H. Peterson, As Kingfishers Catch Fire (New York: Waterbrook, 2017), 42-43.